IrishTrucker - ‘Best Livery & Corporate Identity’ - Congratulations Anchor Tours! ‘Best Livery & Corporate Identity’ - Congratulations Anchor Tours! 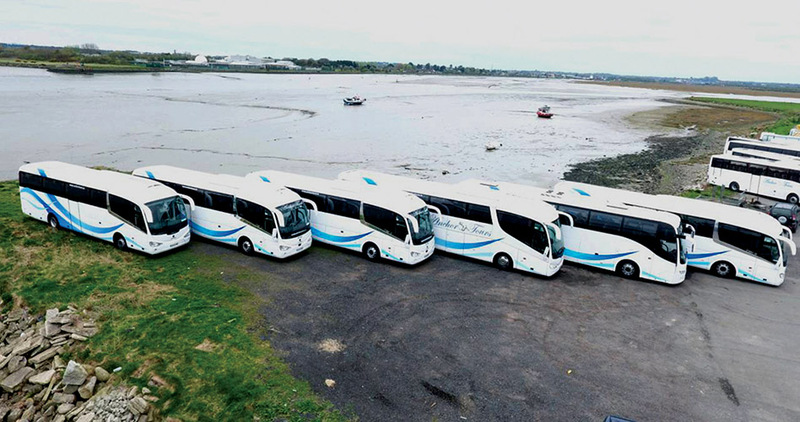 The dedicated and professional team at Anchor Tours of Dundalk, Co Louth were celebrating last November when they were announced as the winners in the ‘Best Livery & Corporate Identity’ category at the Fleet Bus & Coach awards. Anthony Keenan was on hand to accept the award along with his father Seamus and sisters, Sinead, Siobhan and Elaine. His grandfather Patrick Keenan sowed the seeds for the business over 50 years ago and it was a proud moment for all concerned when Anchor Tours was announced as the winners at the Killashee Hotel, Naas on Thursday, November 16th last. Based in Bellurgan, Dundalk, Co. Louth, Anchor Tours was established in 1963 by Patrick, starting with one bus, taking locals and football teams to their matches. What started as a Sunday hobby became a growing business and when son, Seamus, took over the company in 1982 there were five tour buses. Fast forward thirty-six years and Anchor Tours offer their long list of valued clients a nationwide coach and bus hire service with 25 buses of different sizes at their disposal. This friendly company can cater for all private tours around Ireland and Europe. Anthony & Co invite you to hire any of their mini buses, comfortable midi buses or luxurious coaches for any event or tour. With flexible and friendly drivers, you will find them very willing to accommodate your transport needs. Their drivers are a key ingredient in their winning formula and Anchor Tour’s 35 strong work force includes 30 drivers. To ensure the excellence and professionalism of their drivers, they have attended training programmes to make sure they meet the expected standards of customer care and safety. They attend regular training to ensure that they provide passengers with top quality service and are as courteous and as helpful as possible. Anchor Tours offers a wealth of travel and transport services, from mini-buses to coach group tours to hospital transfer services – you’ll find what you need with them. They can pick you up and take you where you need to be, whether you’re a sports team, a corporate business person, school group, tour group, just going shopping or interested in taking a holiday tour around Ireland – Anchor Tours provides top quality services for all this and much, much more! Their success at the Fleet Bus & Coach awards reflects their pursued policy of continuous investment in maintaining and updating their impressive white and blue coloured fleet. They operate several different types of vehicles, so their diverse fleet allows them to meet any of your transportation requirements. Their fleet of vehicles are meticulously maintained and operated by professional staff, ensuring that their vehicles are always in optimum condition. In addition, they make sure that all preventive and scheduled maintenance is completed on time. “People spot our buses out on the road and they are very much part of our identity. Our fleet are the best form of advertisement from our point of view. If you are looking for an award winning company to look after your Airport Transfers, Conferences, Corporate Events, Weddings, Sports Teams, Schools, Coach Tours or Hospital Transfers, then look no further than Anchor Tours. 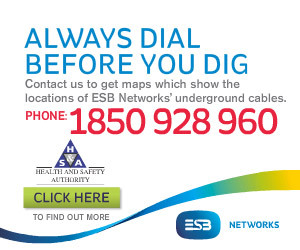 Their office staff are available Monday to Friday, 9am – 5pm to assist you with any queries you may have.